Earlier in this very busy week we told you about Family Ties coming to GMC beginning Monday (May 21)...and yes, that's still happening, but we have some more news now! 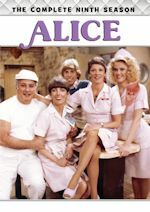 The hit '80s sitcom will have a marathon on Sunday, May 27, 2012, part of Memorial Day Weekend! The marathon will run from 2pm-1am, so that's 22 hilarious episodes in a row for you to watch! GMC has not yet announced its plans for Memorial Day itself, so if there is of anything of note on that day marathon wise, we will let you know on our annual Memorial Day TV marathons blog post on that day. 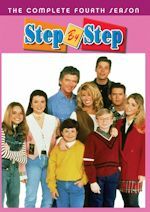 So enjoy Alex P. Keaton and the rest of the Keatons on GMC, weekdays 10-11am and a marathon on Sunday, May 27 from 2pm-1am ET! Malloryyyyyyyyyyyyy! 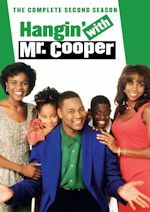 For the week of May 21-25, 2012, we have many current sitcom stars and past sitcom stars on TV talk shows! All times listed are Eastern. So get your DVR's (or whatever you use) ready! Ready? Here is all what you need to know for the coming week! Kathy Griffin (Suddenly Susan) - Watch Kathy on Jimmy Kimmel Live! at 12am on ABC. John Lithgow (3rd Rock From the Sun) - John appears on Late Night with Jimmy Fallon at 12:37am on NBC. Miranda Cosgrove (iCarly) - Miranda is a guest on Late Night with Jimmy Fallon at 12:37am on NBC. Mayim Bialik (The Big Bang Theory/Blossom) - Mayim visits Anderson, so check your local listings. Jerry Seinfeld (Seinfeld) - Jerry drops by Watch What Happens: Live at 11pm on Bravo. Will Smith (The Fresh Prince of Bel-Air) - Catch Will on The Late Show with David Letterman at 11:35pm on CBS. Men in Black III opens in theaters on May 25. Patricia Heaton (The Middle/Back to You/Everybody Loves Raymond) - Patricia appears on Jimmy Kimmel Live! at 12am on ABC. Tracy Morgan (30 Rock/The Tracy Morgan Show) - Tracy stops by Conan at 11pm on TBS. Keke Palmer (True Jackson, VP) - Watch Keke on The Late Late Show with Craig Ferguson at 12:37am on CBS. Edie Falco (Nurse Jackie) - Edie stops by Late Night with Jimmy Fallon at 12:37am on NBC. 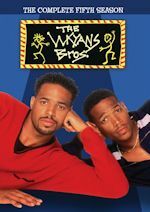 Will Smith (The Fresh Prince of Bel-Air) - Will continues to make the rounds on The Ellen DeGeneres Show, so check listings. Ana Gasteyer (Suburgatory) - Tune in to see Ana on Anderson, so check your local listings. Johnny Galecki (The Big Bang Theory/Roseanne) - Catch Johnny on a repeat of The Late Show with David Letterman at 11:35pm on CBS. Will Smith (The Fresh Prince of Bel-Air) - Will wraps up his appearances this week on Late Night with Jimmy Fallon at 12:37am on NBC. Kathy Griffin (Suddenly Susan) - Kathy appears on The Wendy Williams Show at 12am on BET or on your local stations. Alison Brie (Community) - Watch Alison on Conan at 11pm on TBS. Judith Light (Who's the Boss?) - Judith visits LIVE! with Kelly, so check your listings. Matt LeBlanc (Episodes/Friends) - Matt appears on The Ellen DeGeneres Show, so check listings.